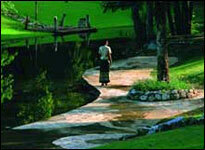 Azure Comsaed Resort & Spa is reminiscent of picturesque resort built on the scenic landscape of Kanchanburi. Its natural charm belies the magnificent luxuries within. Just a short walk from the gorgeous River Kwai, Azure Comsaed Resort & Spais conveniently situated at the base of the world-renowned Kanchanburi Province. 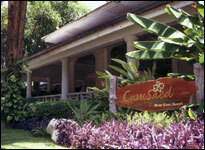 Comsaed resort offers luxury guest rooms, one bedroom and two bedroom villas. Amenities such as fully equipped kitchens, living and dining areas and more are a reservation away. Come enjoy a wonderful villa vacation experience. We offer a diverse and exhilarating range of activities, pampering guest services, innovative cuisine along with an exceptional spa thats allows you to experience the ultimate in a resort destination. 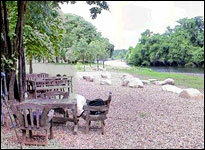 Each room boasts of gorgeous view of the River Kwai. Enjoy the country air and splendid riverside scenery from a private spacious balcony. 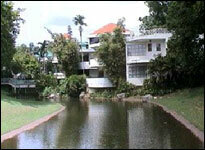 24 River Wing rooms, among which are 4 spacious suites. 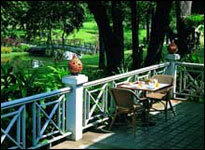 Each with a pleasing view of the garden and the Kwai-Yai river, just outside the door. 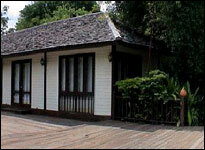 Each room boasts of gorgeous view of the River Kwai. 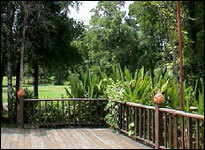 Enjoy the country air and splendid riverside scenery from a private spacious balcony. 18 Garden Wing rooms. Each has a luxurous bathroom completed with its own tropical garden. 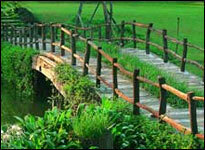 While outside is surrounded by lush green garden. 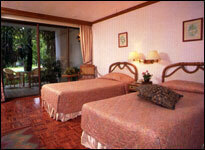 Each room boasts of gorgeous view of the River Kwai. A small village of exotic bungalow-style lodgings set on low-level stills,is located in a lush tropical forest where beautiful orchids grow all-year round. 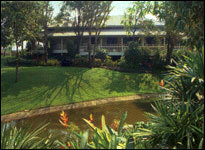 28 Orchid Wing rooms located on the high ground; look out to the mountain and cover beautiful scenic of Comsaed. And the Family home, a 3 bedrooms; modern and luxury home. And ample space suites for an entire family or party. 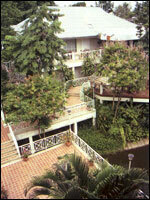 The wing of true family resort provide a house of 3 furnished bedrooms located amongst landscaped tropical gardens. A large living room with dining corner is also provided. 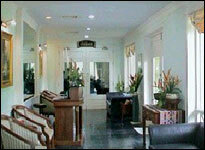 Comsaed Spa provides many facilities for our honour guests. 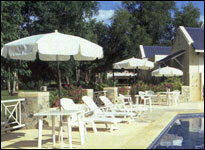 Such as 3 swimming pools; for children and adults. And also many games as chess. Comsaed Spa also has Sauna and Steam rooms. 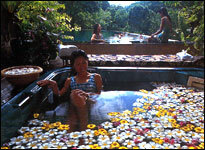 Including with Jacuzzi, many kind of massages such as Thai Massage, Foot reflexology, Aroma Massage etc. Mental and physical medical check - up though feeling and measuring the pulse method analyzing the blood circulation system at the wrists , arm , and at various joints thoughout the body . This process is to identify and examine any unusual or abnormal body conditions in order to diagnose the illness and to recommend ways to overcome them through preventive medicinal techniques. Back and spinal muscle massage which is technique to circulator whole body by stimulate direct from the spiral muscle area with the effective essential oil and herb aboard in deep tissue and deep relaxation. - The Jungle Pub : A cheerful friendly atmosphere, where you can enjoy your friends with karaoke. - Coffee Corner : At the lobby, take your time with unique blends of coffee varieties of cocktails, pastries, and ice-cream or our variety of drinks. 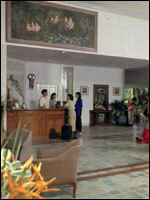 Lounge around and enjoy our soothing background music accompanied by our hospitable staff. 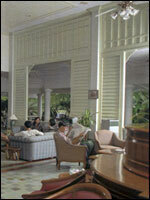 - Lobby Terrace : The Lobby Terrace is located adjacent to the Coffee Corner. The terrace offers madnificent views of our lavish landscape courtyard. 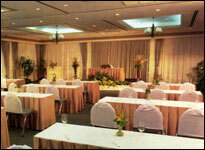 The exclusive venue for conferences, banquets, seminars and the meeting of all sorts. The organisers can select their own type of facilities from e.g. 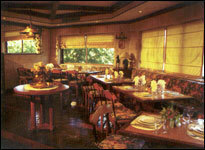 a meeting room for 15 people up to a reception room for 100 guests. 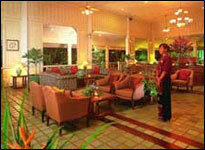 We have various kinds of venues for various purposes of functions. 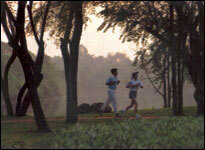 Comsaed provides many outdoor activites such as football kiosk, campfire, tennis, skateboarding, river canoeing and bicycle. And on special festival, Comsaed also provides many activites. Such as a Loy Kratong festival or Song Kran festival. And more and more festival for our guests.